After holding back for a longtime, I caved in last friday and made a trip to my local ultra-Orthodox bookstore, Girsa. As one can imagine, there were even more options than ever for someone coming to do some daf yomi shopping. I lamented that they weren’t all on display together, making it difficult to photograph, but there must have been at least five or so paperback pamphlet versions of Massekhet Berakhot specially designed for the learning of daf yomi, alongside the popular hardcover Artscroll edition. I asked the guy working at the store what the difference is between all of them and he told me that it seems to him to be a matter of personal preference, but that it might be interesting for me to buy all of them and learn from them side by side to see how they really differ from one another (it was unclear whether his suggestion was based on his looking out for my genuine curiosity or just capitalizing on it). Sefer Rosh Bashamayim (“Head in the Sky”) doesn’t interest me too much- it deals with the halakhic intricacies of under-age and sick people who want to fast on Yom Kippur despite being exempt- but I thought that the title was pretty funny, given its frequent use in Israeli slang [UPDATE: for an alternative, more probable understanding of the title, see the comments section below]. Another book surprised me less by its clever title than its esoteric topic. Its title is actually pretty straightforward: “HaCheck baHalakha“. The book, which spans two volumes, also includes discussions of laws pertaining to the use םכ credit cards and bank transactions more generally (okay, I guess this actually is a very complicated topic). I also saw a few books that might be of interest to our readers. 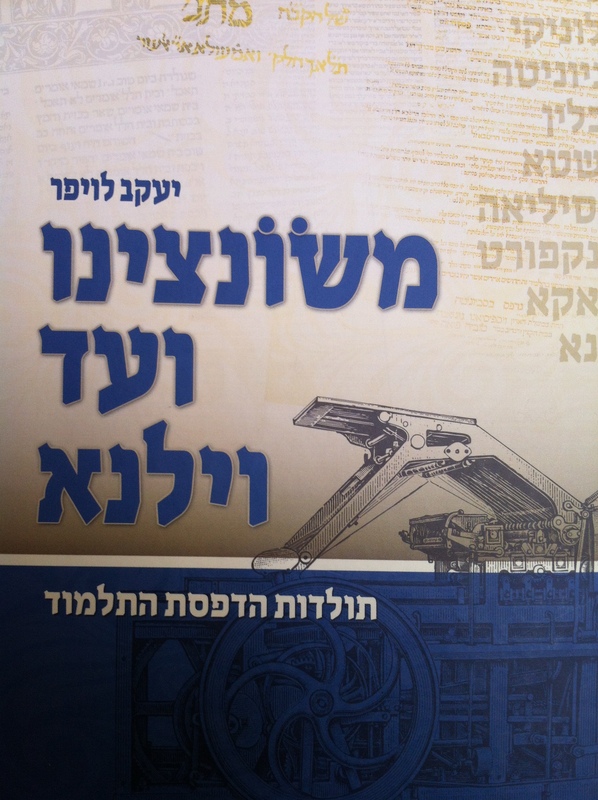 Two of them are a little beyond my realm of expertise so I will just mention them briefly: Mosad haRav Kook has published a new two-volume edition of the responsa of Rav Sherira Gaon, edited by R. Nathan David Rabinovitz, and another volume of Peirush Rabeinu Hananel, on Bava Metsia, is out, edited by Yisrael Soloveitchik. Another interesting title is Yaakov Laufer’s MeSoncino vi’ad Vilna (“From Soncino to Vilna”), which tries to answer questions such as: “What happened to the word ‘Talmud’?”, “Who decided that the Tosafot will be placed on the Gemara page?”, and, most interestingly, “Who set the page layout (tsuras hadaf) for coming generations?”. The book answers much more than that, building off of R.N.N. Rabinowitz‘s monumental essay on the printing of the Talmud to provide a lot of information on the many different editions of the Talmud, their publishers, their innovations, their mistakes, and more, ending even later than Vilna with descriptions of recent digitally printed editions such as Oz veHadar. Laufer also provides some quasi-philological examples of what has changed over the generations in the text of the Talmud. While he makes extensive use of important academic tools like The Lieberman Institute’s Talmudic manuscripts Database (although in its older version; stay tuned for a post in the coming days on updates to the newer version of the database), his use of textual witnesses often lacks sound methodology. For example, in his chapter on the first Venice Printing, Laufer brings an example of what might be considered mistake in Yerushalmi Megillah, where we read “רב אמר צריך לאמר ארור המן ארורים בניו”. 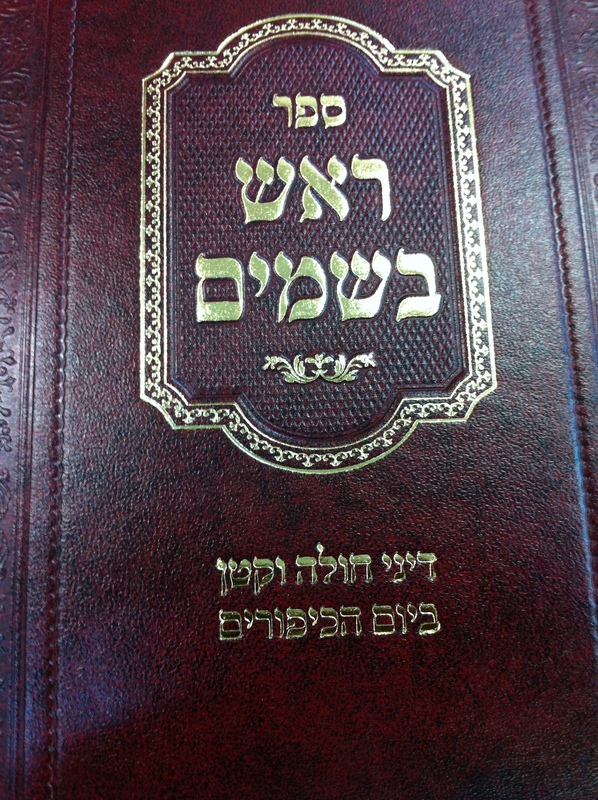 According to Laufer, this version might be a “correction” made by the non-Jewish printer, Daniel Bomberg, of the less politically correct “ארורים כל הרשעים ברוכים כל הצדיקים” which is said in the prayer “Shoshanat Yaakov“, recited on Purim. It seems to me that Laufer has come across an interesting case in which the halakha eventually brought in such codes as the Tur and Shulchan Aruch is influenced heavily by the version of an Ashkenazi Sefer Yerushalmi like text, and he seems to favor it over the version that appears in our Yerushalmi (MS Leiden). Eliezer Brodt, who let us know about MeSoncino vi’ad Vilna, also informed us that he plans on writing more about Laufer’s book over at the Seforim Blog soon (another review can be found here). Two more recent publications are David Weiss Halivni’s new volume of Mekorot uMesorot, which completes Seder Nezikin, and another volume in the joint Van-Leer and Magnes series on the Philosophy of Halakha. 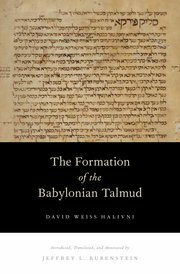 This volume, partially based on a 2006 conference on Halakha and ideology and bearing the title “Halakha: Explicit and Implied Theoretical and Ideological Aspects”, contains contributions from Yair Furstenburg and David J. Landes, both of whom have guest-blogged for the Talmud Blog.